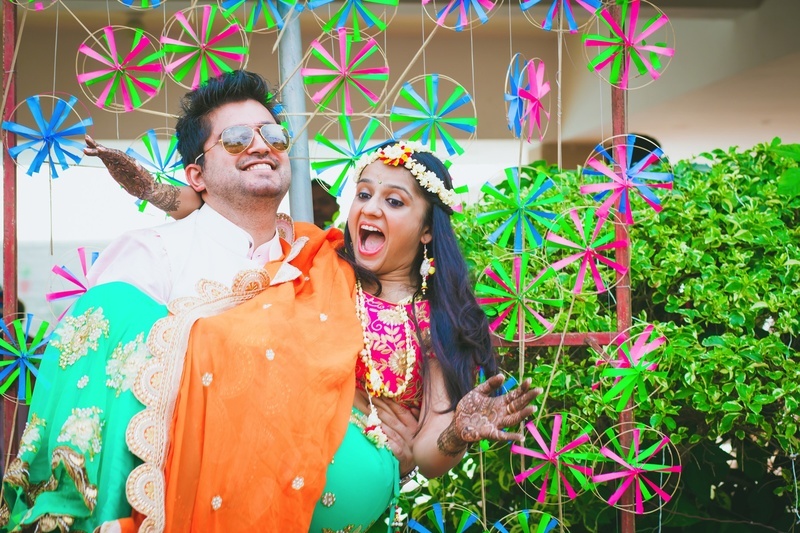 Lots of colour, lots of love and a quirky bride who is sure to steal your heart! 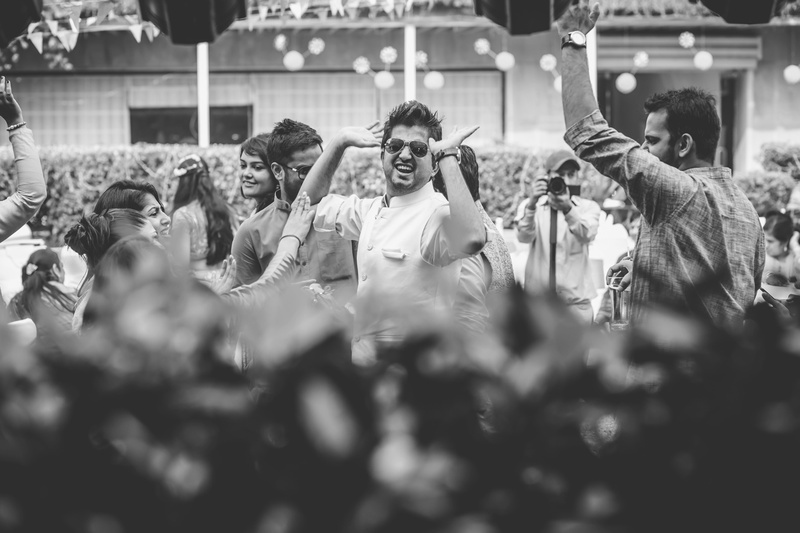 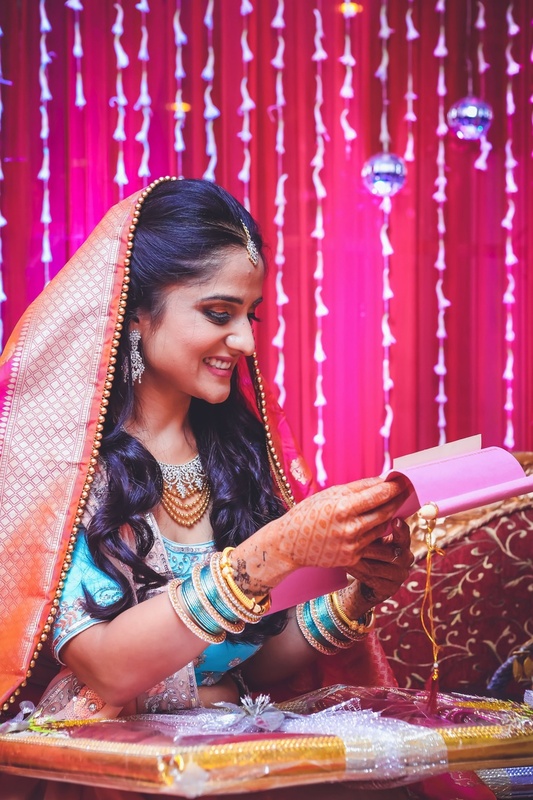 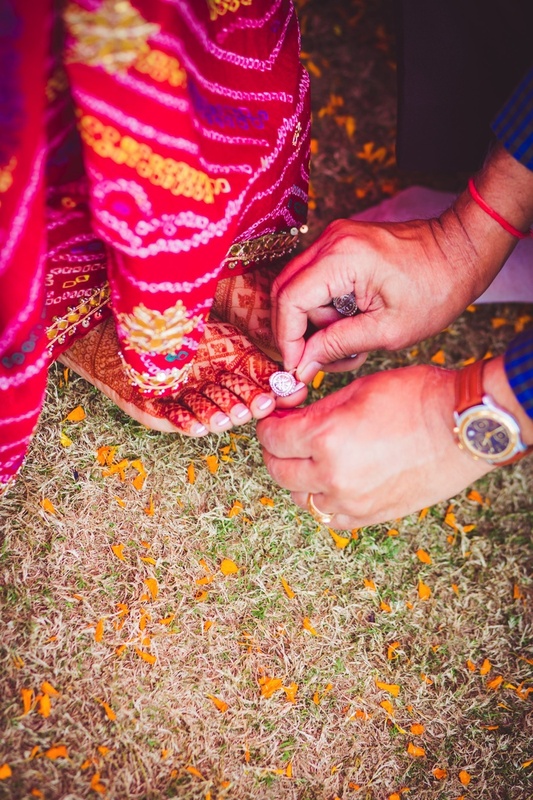 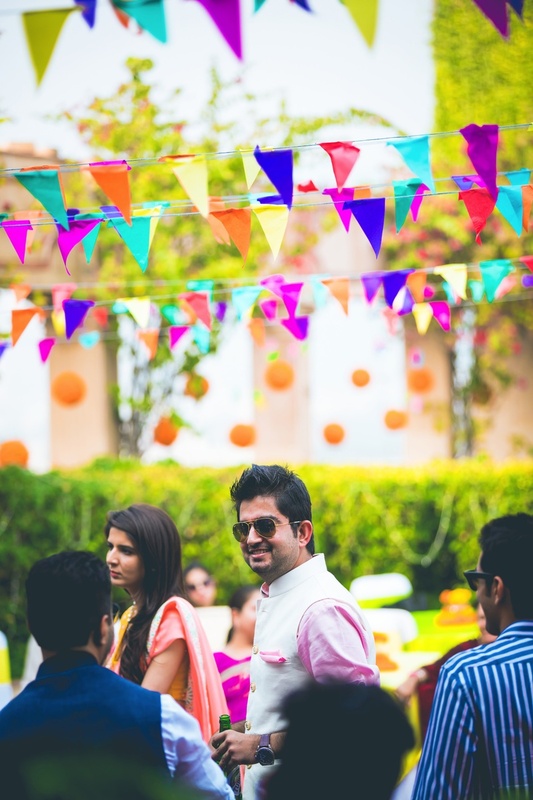 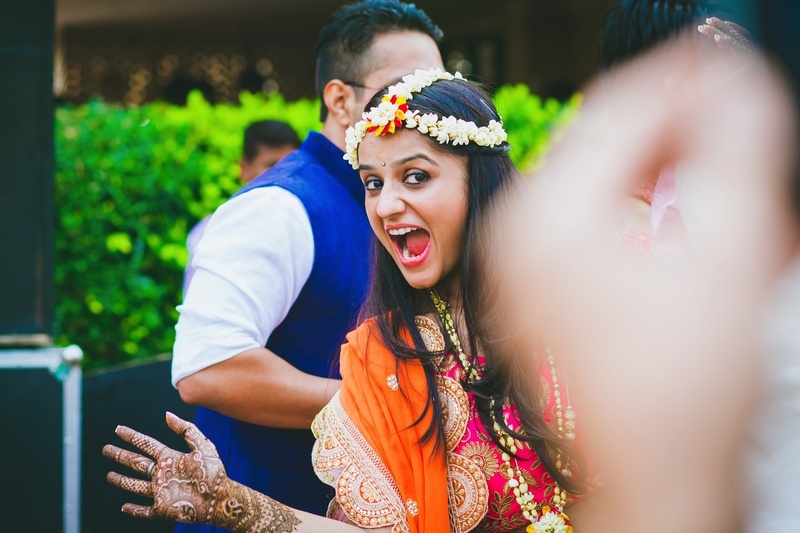 Focusing all their energy into making their wedding one-of-a-kind special without the pomp, extravagance and OTT elements that come with extra expenditure. 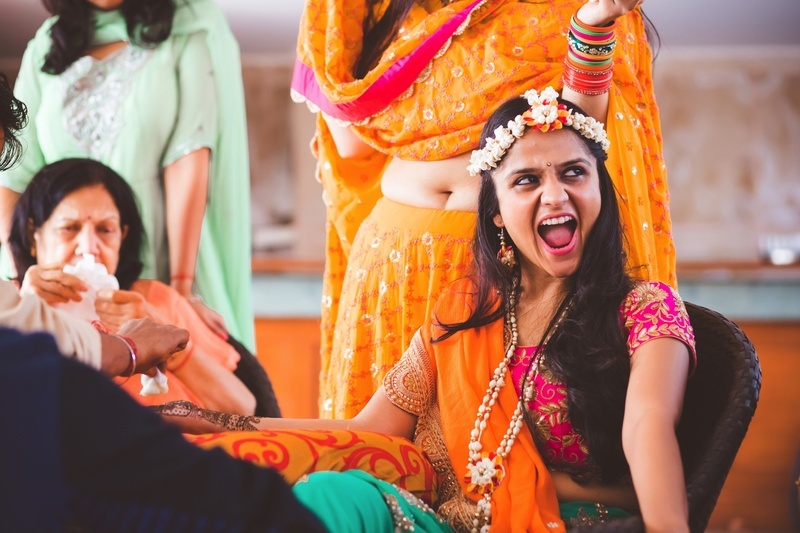 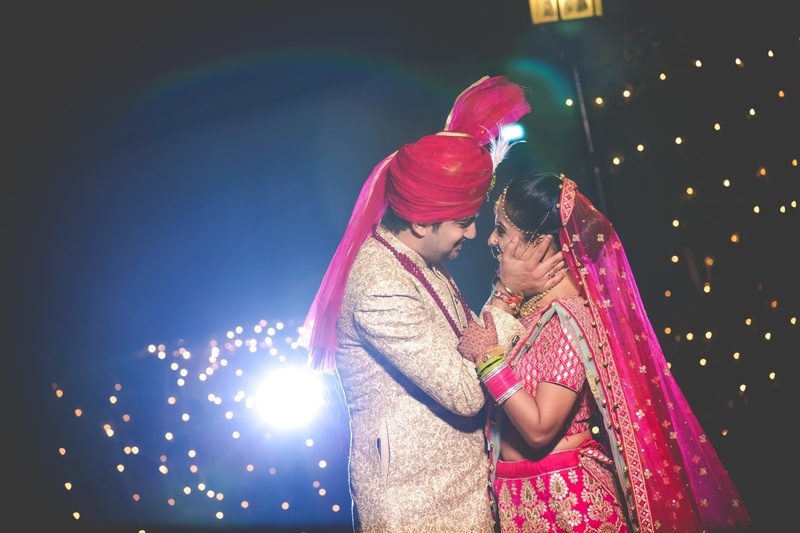 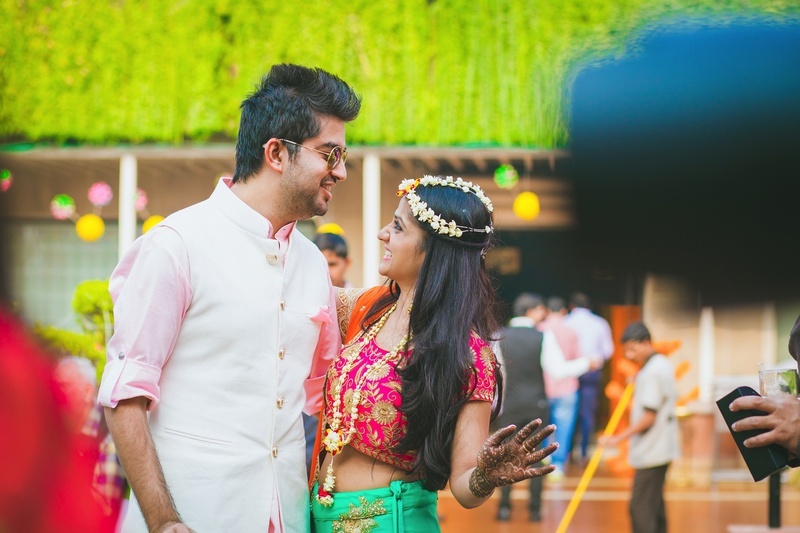 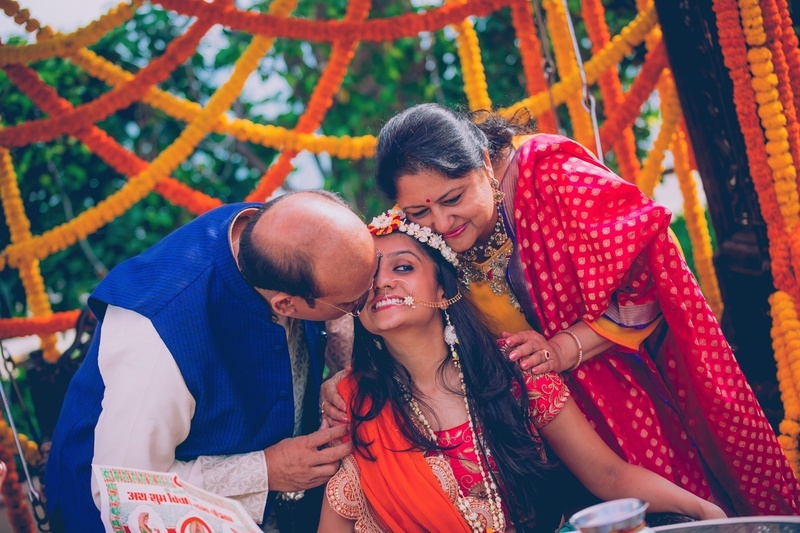 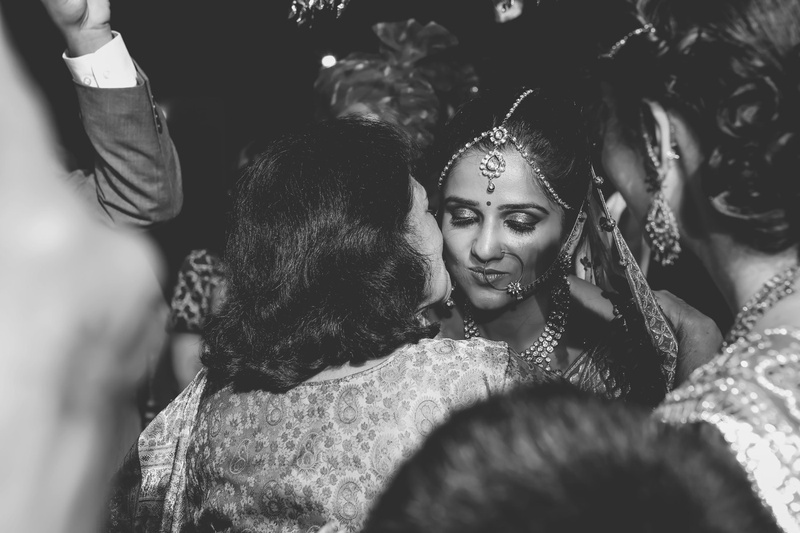 Varun and Vasundhra had a wedding on their mind which was comprised of close friends and family, with the perfect amounts of love and laughter – and that’s just what they got! 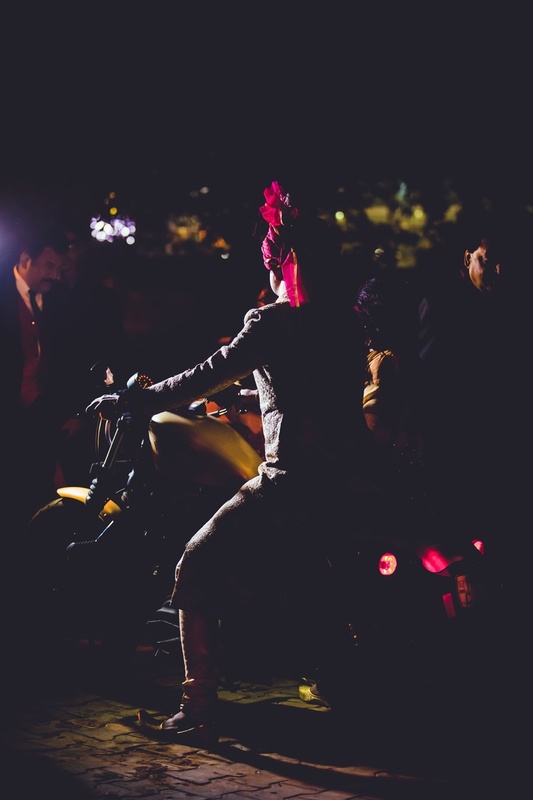 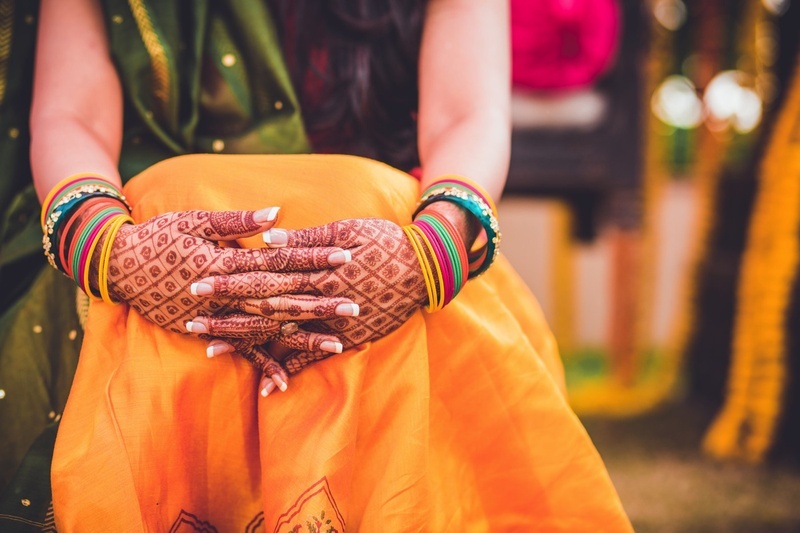 What to look out for as you scroll through this wedding – the groom’s dapper entry on a bike instead of a ghodi, the yellow rose varmalas and the fresh use of pin-wheels as a mehndi photobooth backdrop! 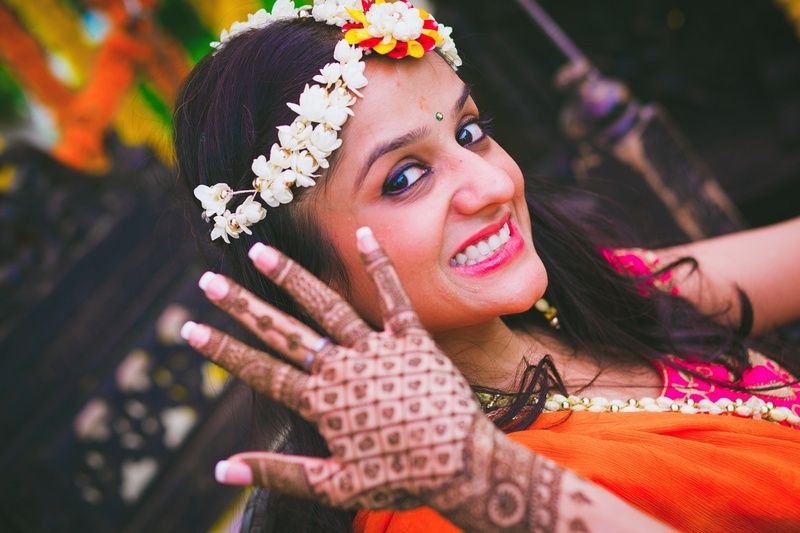 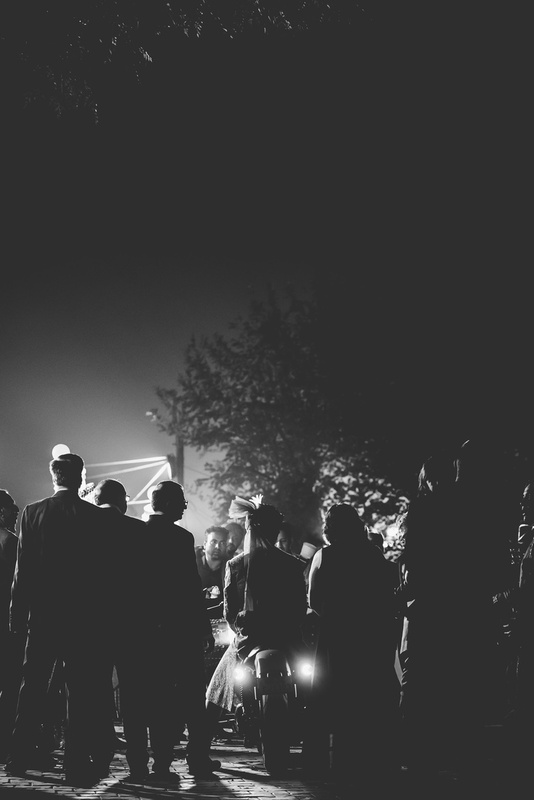 Check out their awe-inspiring photos captured brilliantly by Art Capture Productions! 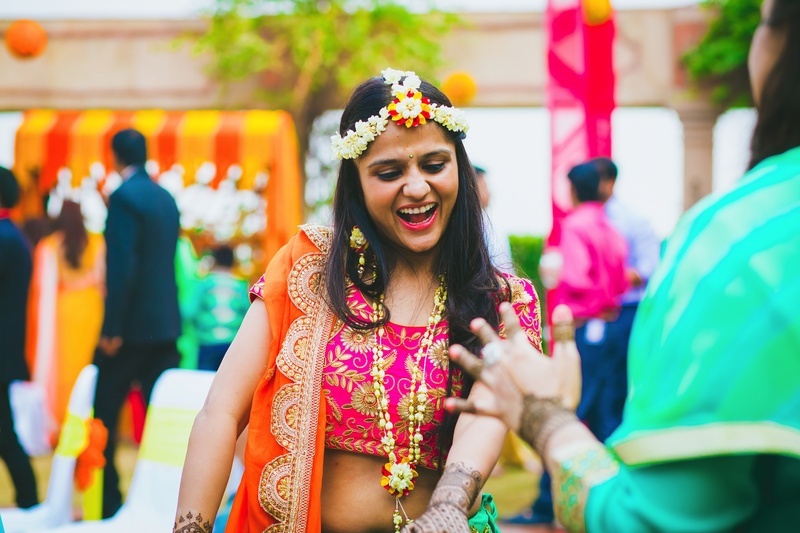 Bride Vasundhra looking extremely pretty in this colorful outfit styled with minimal floral jewellery for her Mehendi ceremony. 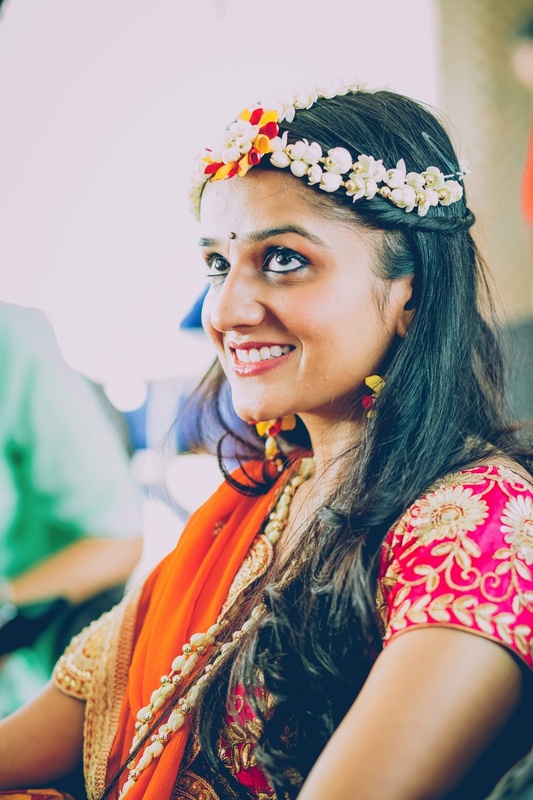 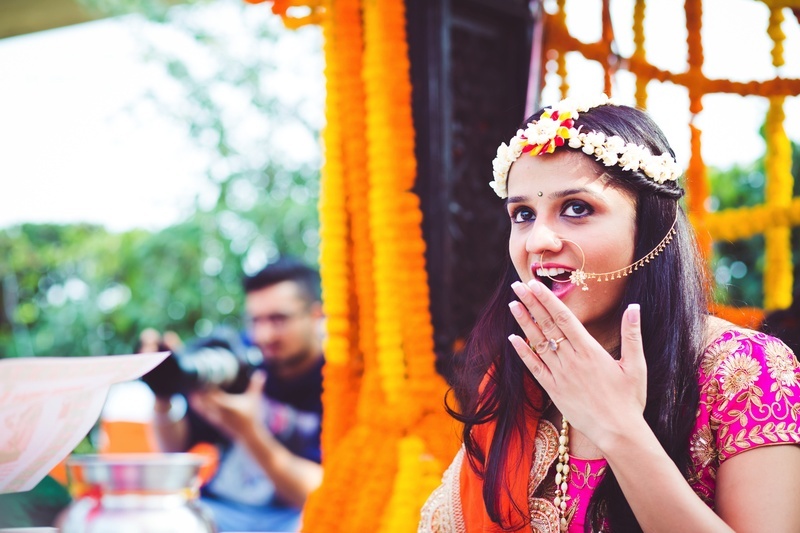 Bride wearing minimal makeup and minimal floral jewellery with a beautiful gold and kundan nose ring. 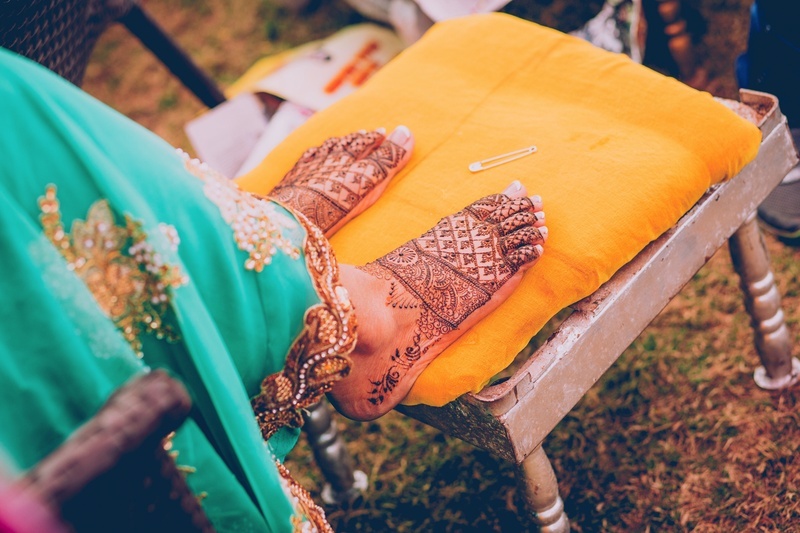 Bridal Mehendi by Vivek Mehendi Artist from Delhi. 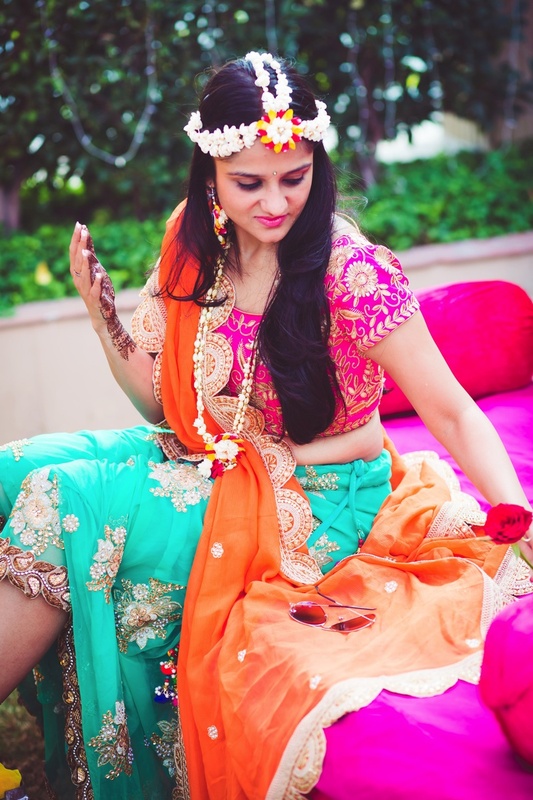 Bride Vasundhra wearing aqua blue lehenga paired with pink blouse and orange dupatta with zari embroidery and minimal floral jewellery. 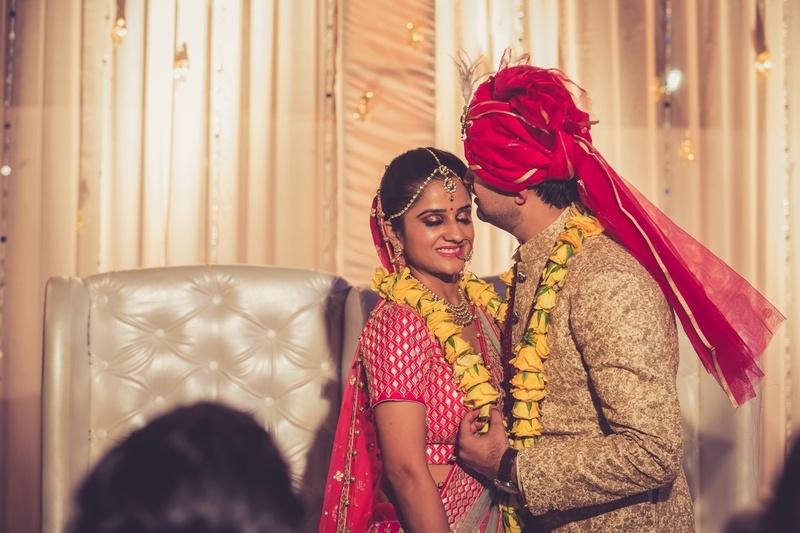 Cutest couple candid photography by Art Capture Productions. 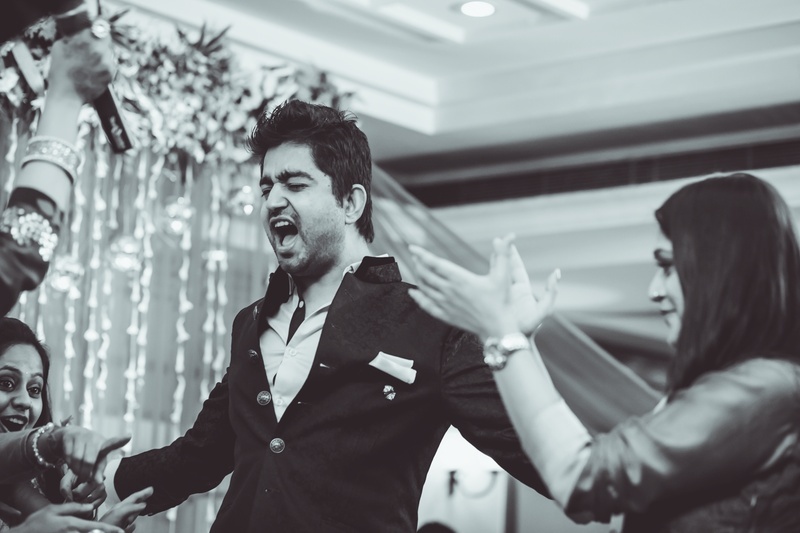 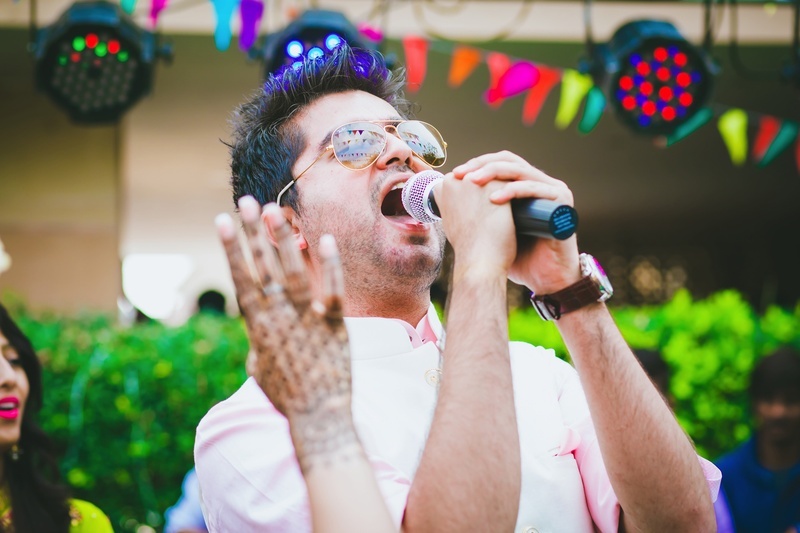 Groom Varun singing to her bride!! 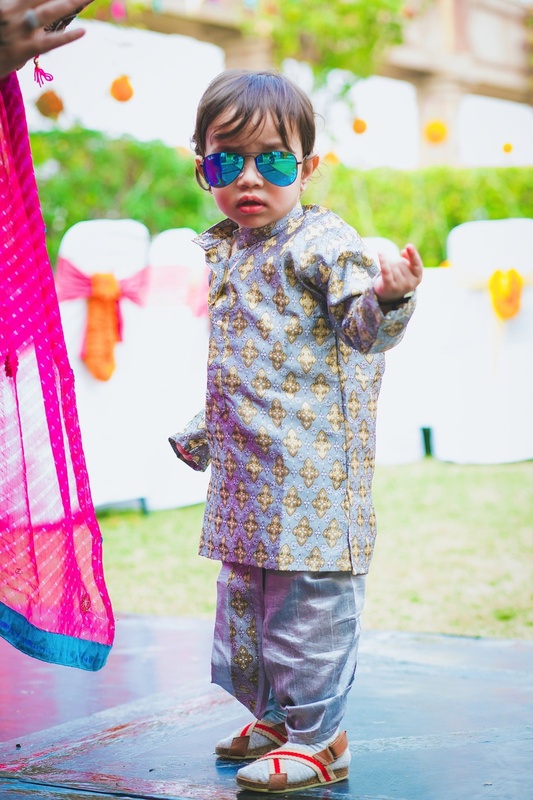 Cute little kid with a desi swag! 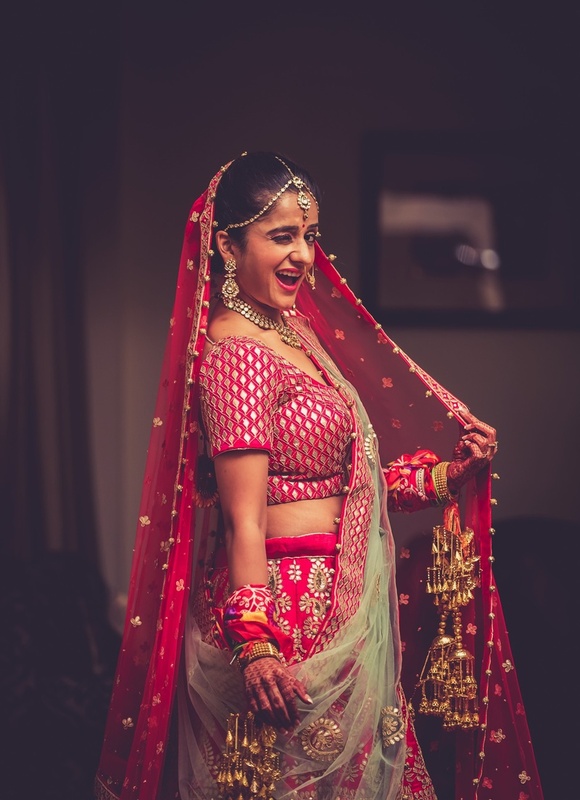 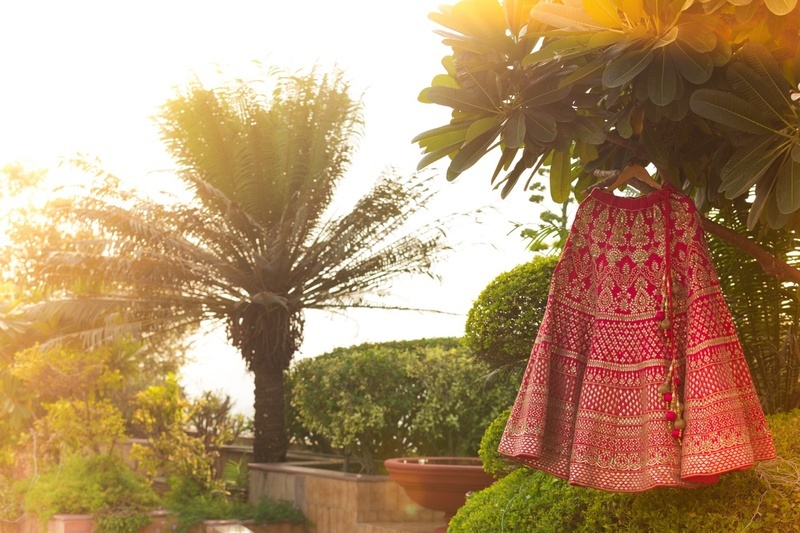 Bride Vasundhra wore this beautiful red and yellow cotton lehenga with minimal styling for the Haldi Ceremony. 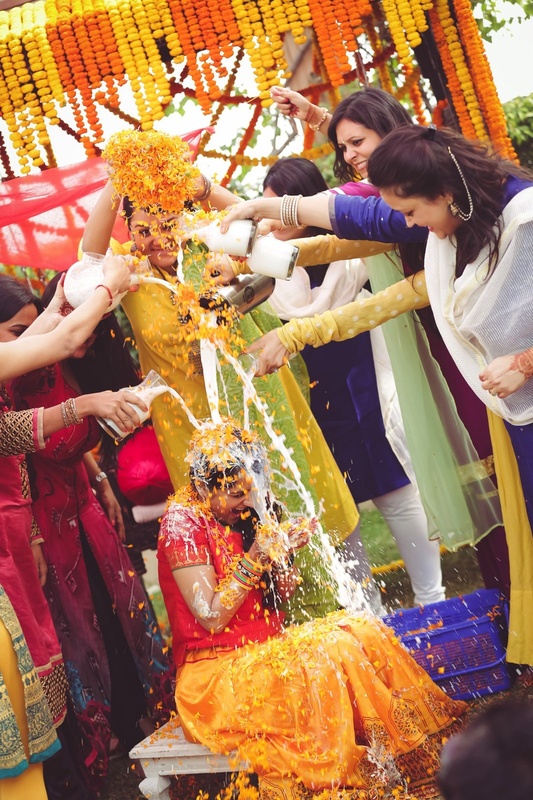 Bride drenched in haldi, milk and flower rain on her haldi ceremony held at Hotel Bristol. 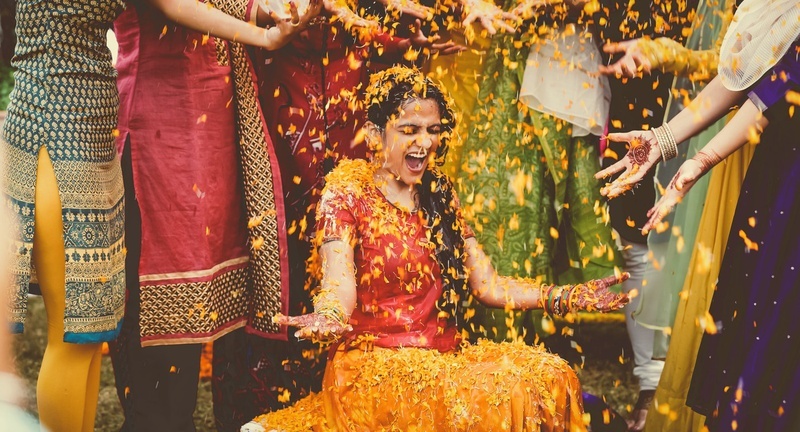 Flower rain for the bride on her haldi ceremony. 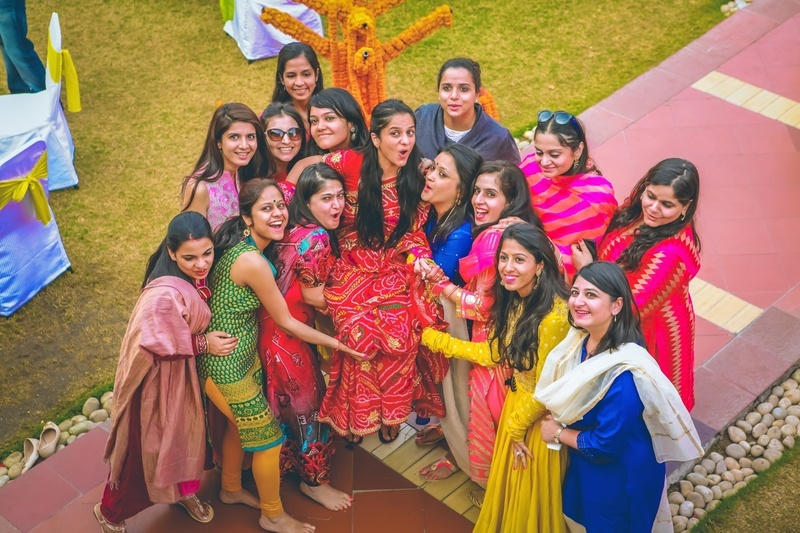 Bride and the bridesmaids all colorfully dressed in ethnic outfits. 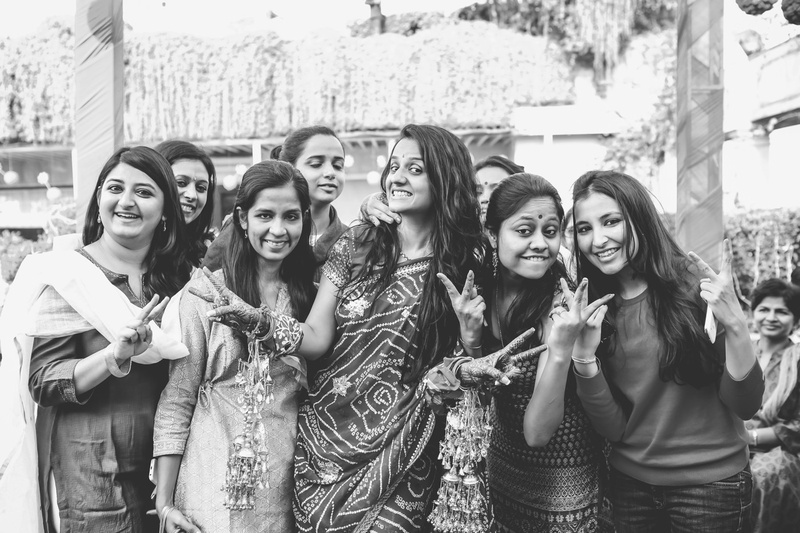 Black and White Bride and Bridesmaids photography. 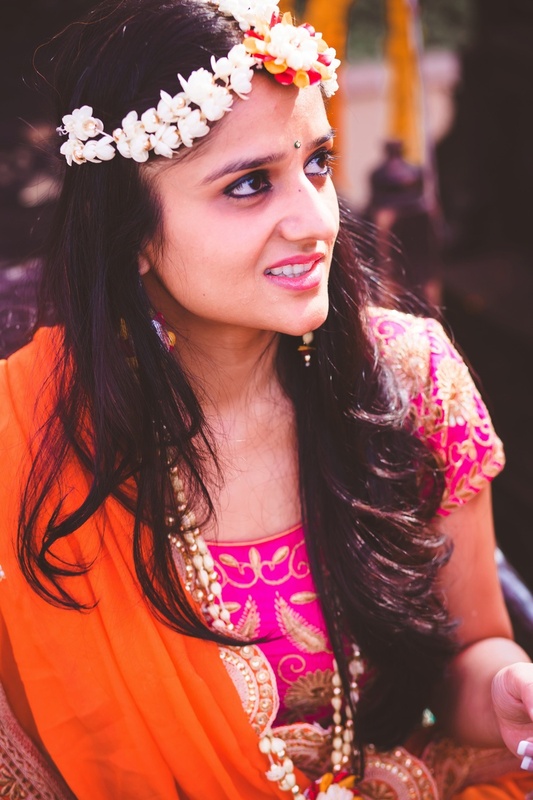 Outfit - Allure by Deepika Chopra Garg, Lucknow . 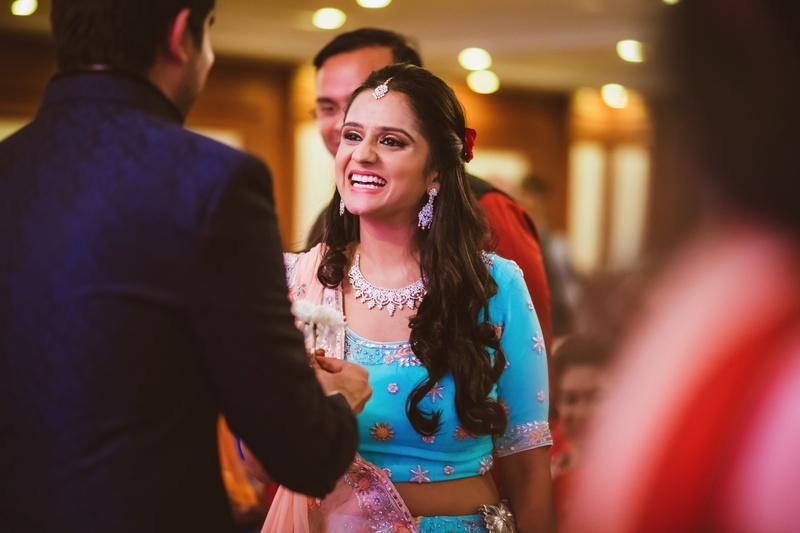 Bride Vasundhra looking pretty in this aqua blue lehenga with pastel pink dupatta styled with diamond earrings and necklace. 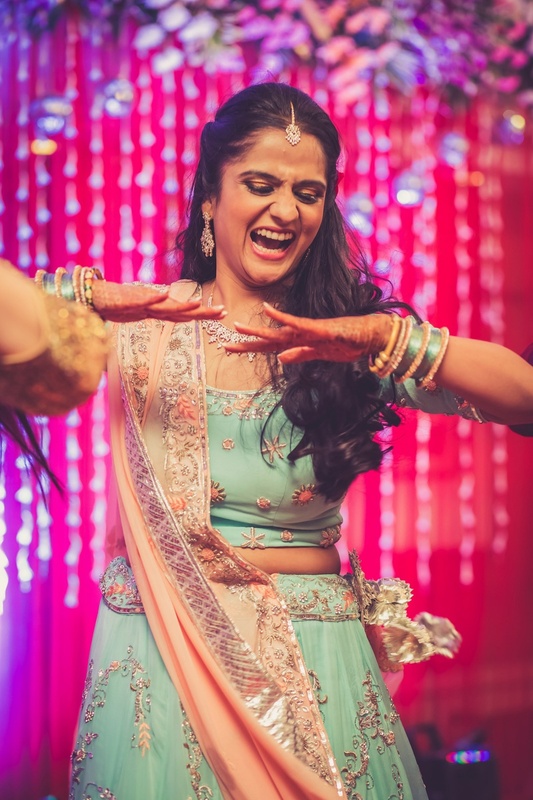 Bride Vasundhra looking pretty in this aqua blue lehenga with pastel pink dupatta styled with diamond earrings and necklace for her sangeet ceremony. 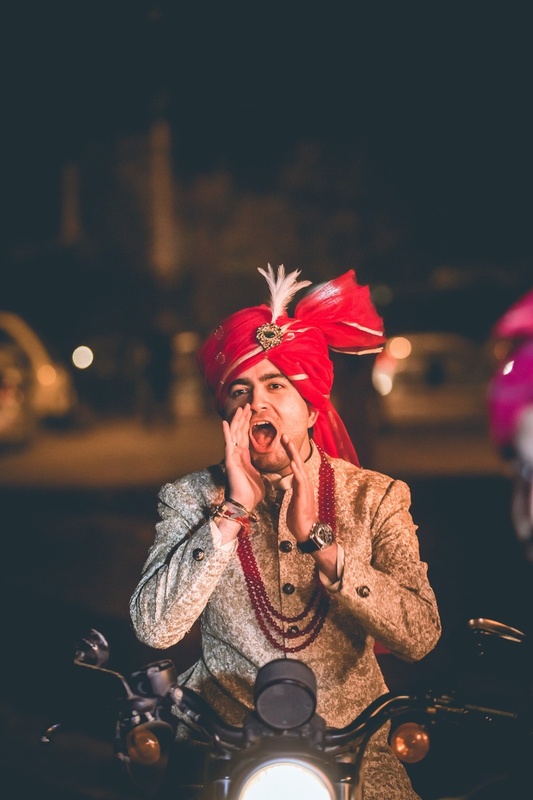 Grooms wear by Dhruv Sehgal, Delhi . 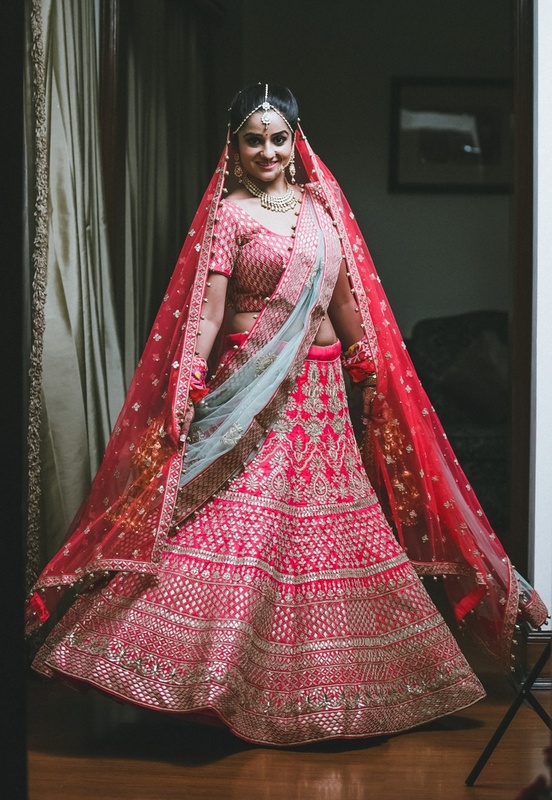 Bridal Lehenga by Asiana Couture, Delhi. 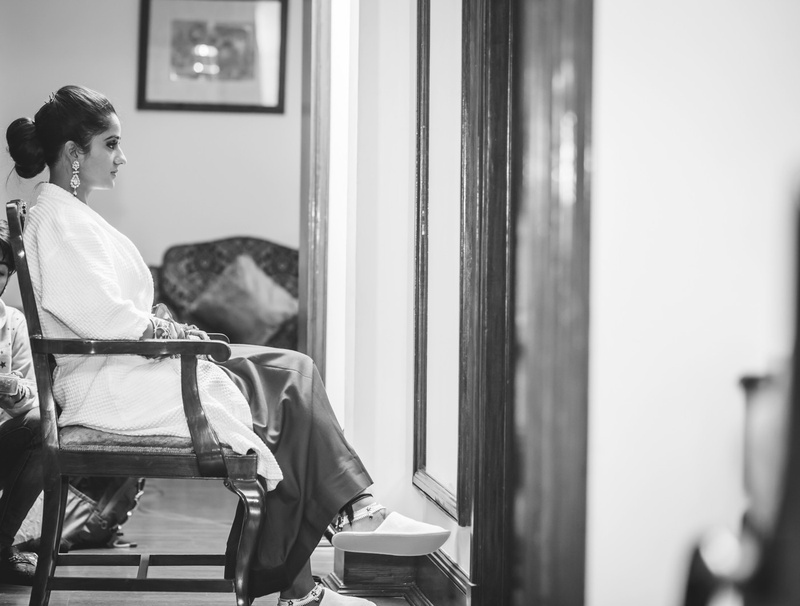 Black and White Bridal Makeup Photography. 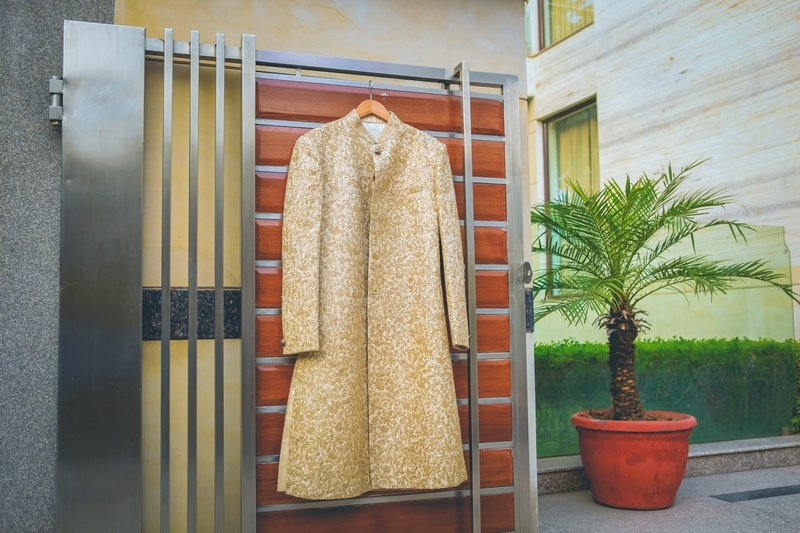 White and Golden Sherwani for the groom for the wedding day. 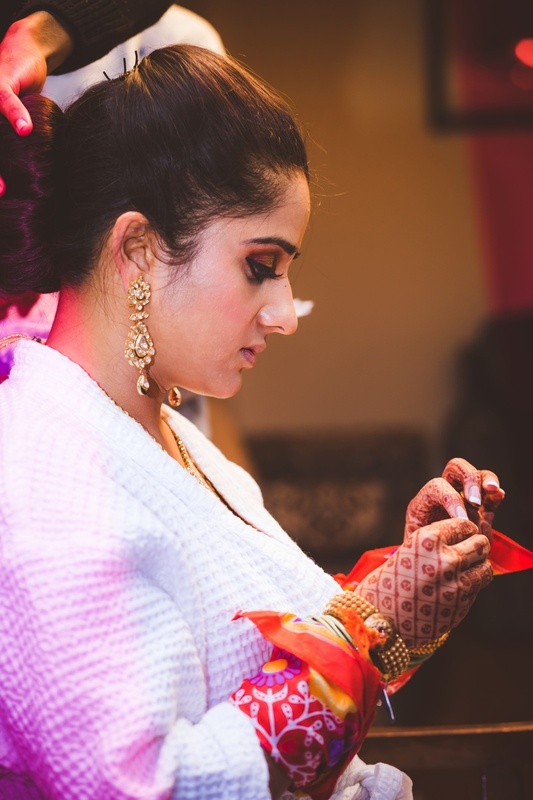 Bridal Makeup by Medha Arora. 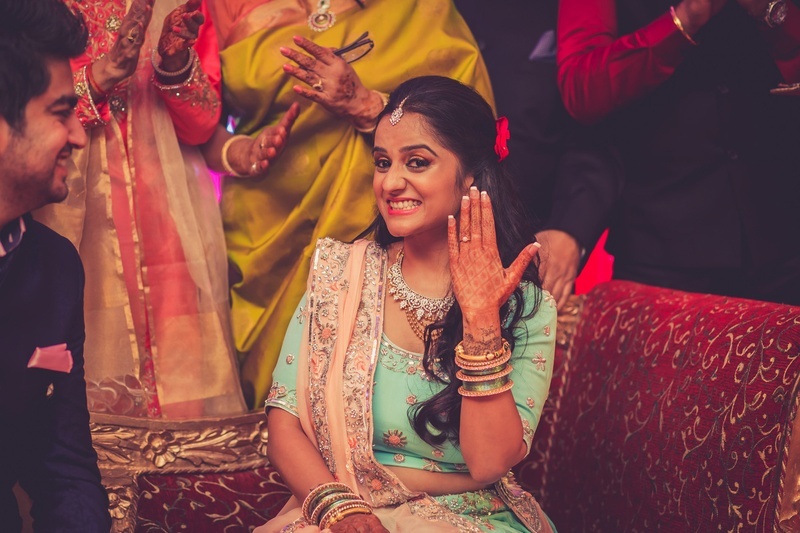 Bride Vasundhra wearing gorgeous pink and turquoise blue lehenga with gota patti work styled with beautiful kundan jewelley and kaleeras. 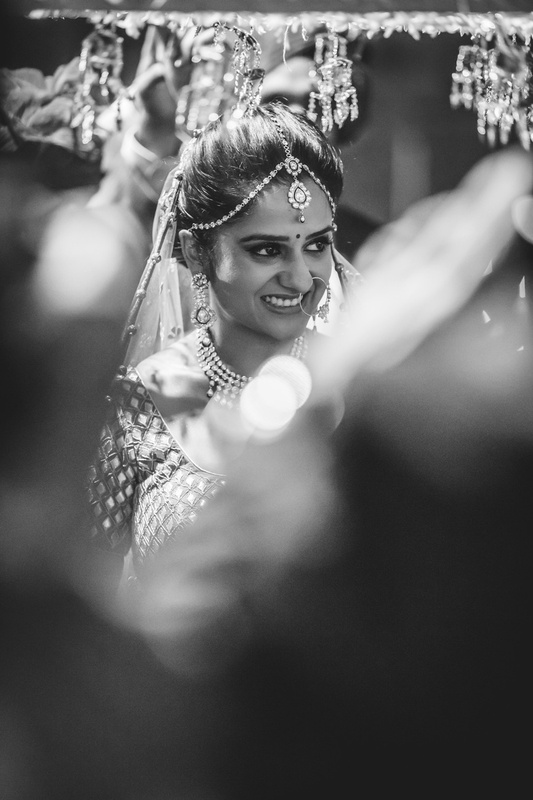 Black and White wedding photography. 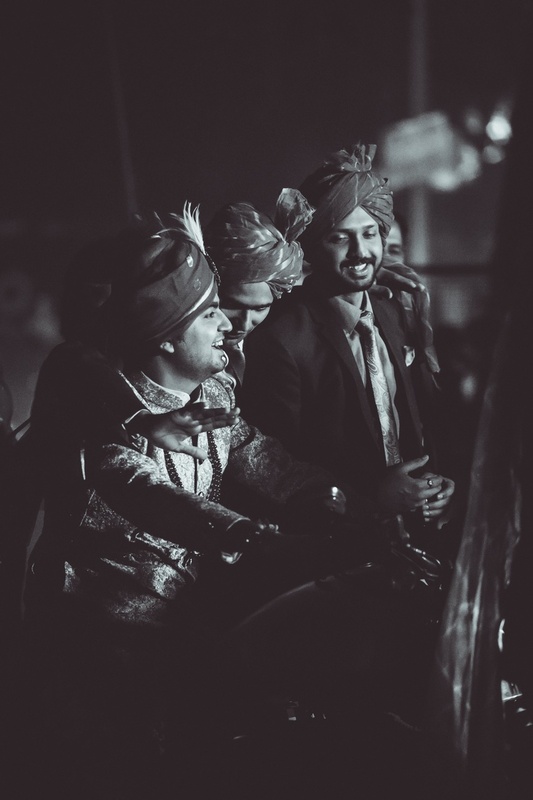 Groom entering on a bike. 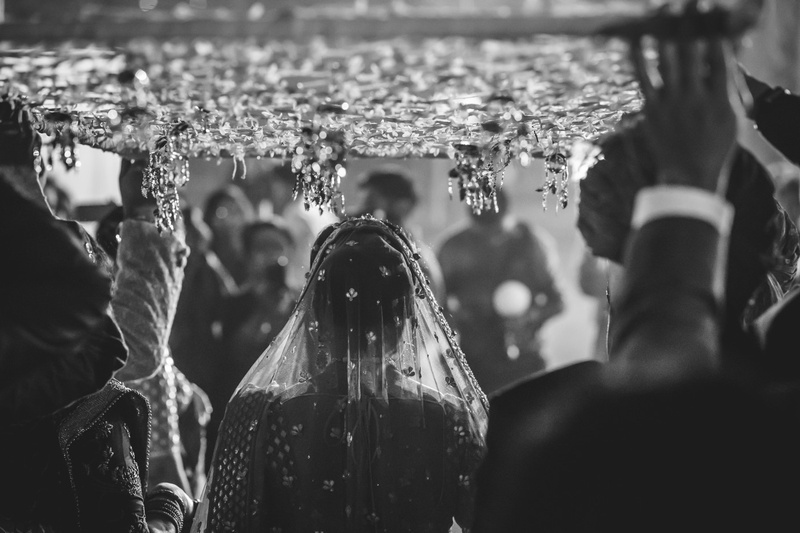 Bridal Entry Black and White photography. 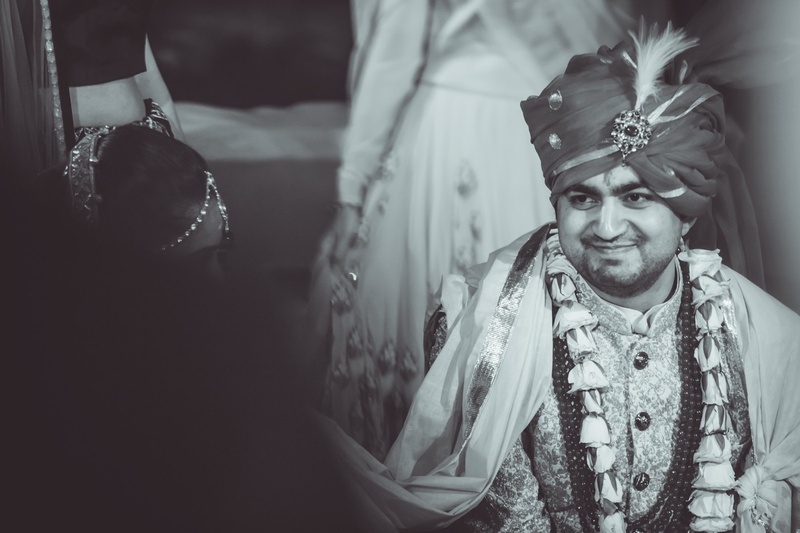 Vidaai Ceremony beautifully captured by Art Capture Productions. 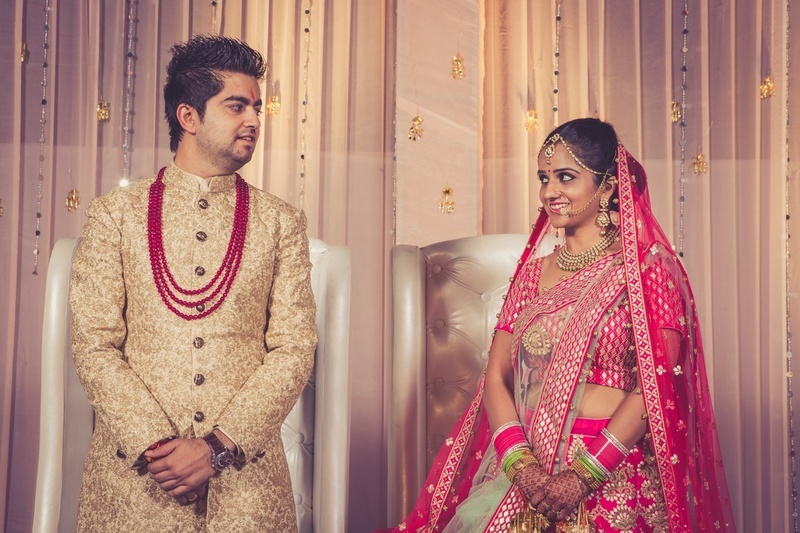 Groom paired his golden Sherwani with Pink multi stringed neckpiece, complementing the bride. 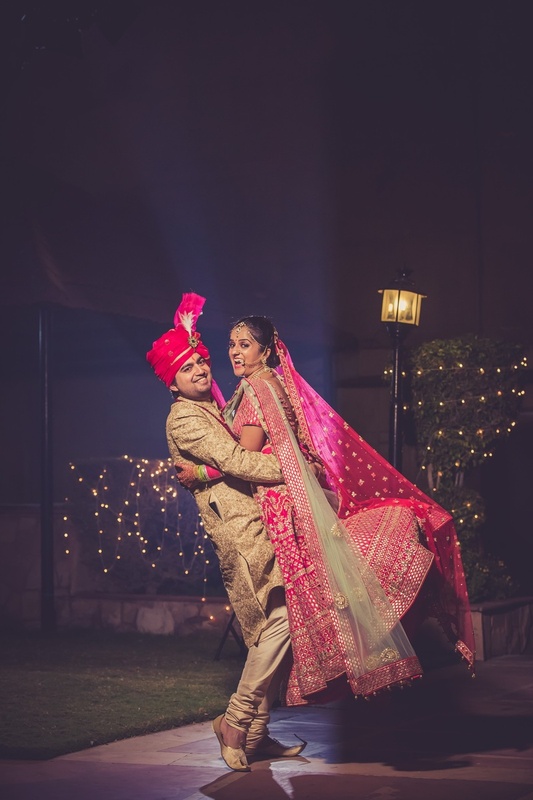 Wedding Outfits by Asiana Couture, Delhi.